A holographic lip color is set to be the first product released under the long-awaited makeup label Fenty Beauty by Rihanna. The star has been working on a bold but pretty custom blend bronze gloss mixed with a pink shimmer, which will go on sale at Sephora stores in Fall 2017. 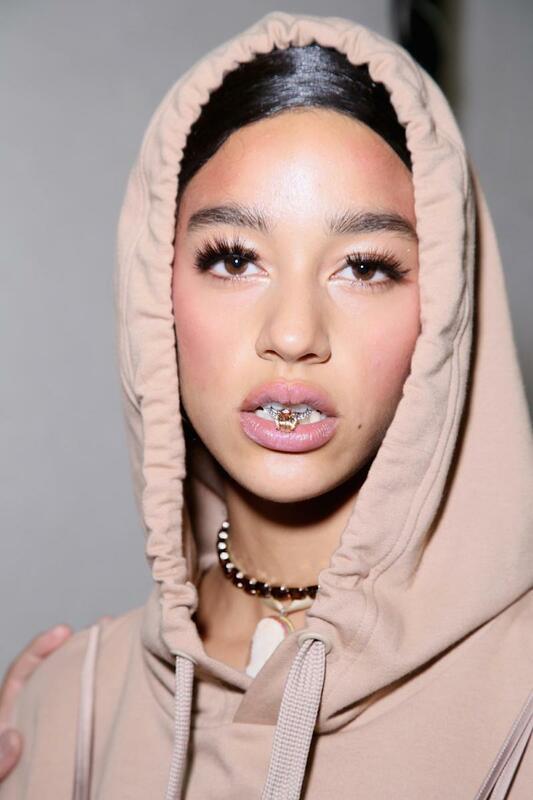 Rihanna debuted the lip blend at her Spring/Summer 2017 Fenty Puma show during Paris Fashion Week on Wednesday, where the models sported the gloss with slick hairstyles and lots of holographic highlighter. It was the first glimpse of what fans can expect from the RiRi's long-awaited beauty brand, which the style icon trademarked back in 2014.